Contact us for more information about our latest news stories. A woman died after contracting Legionnaires’ disease at a Ludlow hotel while on holiday, an inquest jury has concluded during March 2019. Elaine Esther Brown, 69, picked up the fatal infection at the Feathers Hotel where she stayed with her husband Graham on July 30, 2017. She died on August 26 at Royal Liverpool University Hospital from a stroke contributed to by legionella pneumonia. Senior coroner for Shropshire, Telford and Wrekin, John Ellery, asked a panel of 10 jury members to decide from the evidence whether Mrs Brown contracted the disease at the Feathers Hotel or not. The jury unanimously decided on a narrative conclusion which was read out by Mr Ellery. Dire warning as deadly Legionnaires' disease is found lurking in nearly 80 per cent of household showers. Potentially fatal Legionnaires' disease has been lurking in household showers. 68 samples of domestic shows across Adelaide found 75 per cent had traces. Elderly residents, smokers and heavy smokers are most at risk of the disease. The potentially deadly Legionnaires' disease is lurking in many household showers, a new study has found. Researchers took 68 samples from domestic showers across Adelaide and found 75 per cent were colonised with Legionella. Flinders University microbiologist and lead author Harriet Whiley says elderly residents, lung disease sufferers, and heavy smokers are most at risk of contracting the disease. BSI, the business standards company, has released British Standard BS 8580-1:2019 Water quality, risk assessments for Legionella control – Code of practice. This is a significant revision to the 2010 British Standard providing further guidelines for assessing water quality and the risk of Legionnaires disease. The standard gives recommendations and guidance on the assessment of the risk of Legionellosis presented by artificial water systems. Legionellosis is a collective term for diseases caused by bacteria of the genus Legionella, an opportunist pathogen which normally inhabits warm, moist or aquatic environments. The most serious and potentially fatal is Legionnaires’ disease. The son of a woman who died after contracting Legionnaires' disease said the saddest thing is that his daughters will not get to know who she was. Elaine Brown, 69, died of a stroke after contracting legionella pneumonia from The Feathers Hotel in Ludlow. Tests found the same strain of the legionella bacteria in samples taken from a sink in the room in which she stayed, an inquest heard. A narrative verdict was given at the inquest in Shrewsbury. Son Neil Edwards said he needed time to take stock before deciding what action, if any, to take next. Mrs Brown's death came months after another guest caught the disease but Public Health England did not tell anyone. The hotel subsequently closed but is due to reopen under new management following a refit. The coroner recorded that Mrs Brown died of a stroke at the Royal Liverpool Hospital on 26 August 2017. A key contributing factor of death was the contracting of legionella pneumonia at the hotel on 30 July. Part of a Devon hospital has been closed following the discovery of the potentially lethal bacteria Legionella. The Minor Injuries Unit at Totnes Community Hospital has been temporarily closed - following the discovery in taps and showers on the site. The rest of the site - including inpatient wards and outpatient clinics - is continuing to operate as normal. The Hospital’s Minor Injury Unit (MIU), which is run by Torbay and South Devon NHS Foundation Trust, is being closed because it uses a lot of water and the site’s water system is currently being disinfected. Legionella is usually not a risk to people - but it can cause Legionnaires' disease, a form of atypical pneumonia, that in severe cases can be fatal. With many elderly residents suffering from various ailments they are especially vulnerable to Legionnaires’ disease. Legionnaires’ disease continues to pose a threat to public health in Essex. In 2018, two cases involving Legionella outbreaks were resolved in court, the BUPA Care Home Case and the Tendring District Council Case. Investigations revealed that the care home administrators, despite being aware of the presence of Legionella, did little to address the problem. As a result of constituted negligence, the judge ordered that the care home paid fines and damages. Meanwhile, Health and Safety Executive (HSE) officials found that Tendring District Council was negligent in a Legionella incident that happened last November 2016. At that time, a regular patron of the leisure centre took a shower but didn’t know the water was infected with Legionella bacteria. He was near death at the hospital, but doctors managed to save him. During the investigation, staff working at the Tendring Leisure Centre were found to lack any proper training with regards to Legionella. Both employees and customers were also not aware that they were in danger of contracting the bacteria. The district court found the Council guilty of negligence and it was ordered to pay a £27,000 fine. Legionella Testing Market report offers leading manufacturers all around the world with challenges facing by them and their achievements through the several limits. The Legionella Testing market report provides a 5-year forecast (2018-2023) assessed based on how the market is predicted to grow in major regions. Top Regions in Legionella Testing Market include US, Canada, Mexico, UK, France, Germany, Italy, Spain, India, China, Japan, Australia, South Korea, GCC, South Africa, Brazil and Argentina. Legionella Testing market analyse the market by countries, type, application, and manufacturers, with sales, revenue and market share by key countries in these regions. The Legionella Testing market includes regions, with sales and it Introduces product scope, market overview, market opportunities, market risk, market driving force. The cost of the report is $4250 per licence available from industryresearch.co/purchase/13104502. A council has been fined £27,000 after an outbreak of Legionnaires' disease left a man fighting for life. Tendring District Council was investigated by the Health and Safety Executive (HSE) after a "catastrophic failure" at the Lifestyles leisure centre in Walton-on-the-Naze, Essex. Graham Leach contracted the disease in November 2016 after using the showers, Colchester Magistrates' Court heard. The council said it had since improved processes for managing legionella risk. "This was a fairly catastrophic failure on their part to manage council facilities, in particular in the prevention of legionella in their leisure facilities. "I see from the hospital that treated Mr Leach that he was close to death, had they not treated him in time." We would like to take this opportunity to say a thank you to everyone involved with our company including customers, staff, suppliers and partners for your support during the year. We are looking forward to 2019 and working with all of you again next year. Season’s greetings from all of us and we wish you a Merry Christmas and a Happy New Year. Our last working day before Christmas will be Friday 21st December, which makes our last day for despatch of stock items Thursday 20th. We are open on Wednesday 2nd January. 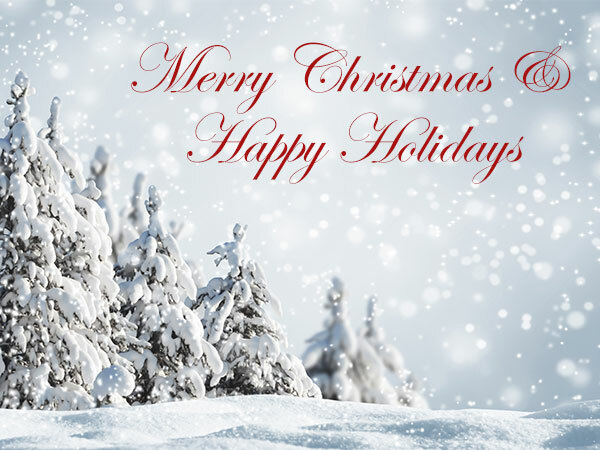 We would like to wish our customers & suppliers the best wishes for the festive season. A “cluster” of legionnaires’ disease cases in September left at least seven people hospitalised with pneumonia-like symptoms in the Guildford area of Surrey, British Columbia. Fraser Health Authority confirmed the “cluster” of cases on Saturday, September 01, and immediately began an investigation. Legionnaires’ disease is a serious respiratory illness that results in pneumonia. It’s caused by the bacteria legionella, which is commonly found in freshwater, groundwater, and soil. Legionella can also spread in human-made water systems like cooling towers, hot tubs, fountains and large plumbing systems. When water contaminated with larger quantities of the bacteria is released into air in the form of droplets or mist, people may be exposed to the bacteria by breathing in contaminated air. Legionella bacteria has been found in the Morris County jail water system, making it the third county-owned building to test positive since July, officials said Monday. The bacteria that can lead to Legionnaires' disease was also detected in water systems at the 283-bed Morris View Healthcare Center and at Homeless Solutions, a non-profit homeless shelter housed in a county-owned structure in Morris Township. No one at the county correctional facility that averages a daily population of 200 inmates has been diagnosed with the disease, a severe form of pneumonia, county Administrator John Bonanni said. Tests showed no presence of Legionella at the county juvenile detention center and juvenile shelter, Bonanni said. The Southeast Morris County Municipal Utilities Authority supplies water to all the buildings that were tested. A fully automated testing device can now be deployed at water sites suspected of contamination by Legionella bacteria. The device promises more reliable results in less than two hours, with no human intervention. Between 5,000 and 8,000 cases of Legionella pneumonia – most known as Legionnaire's disease – are diagnosed each year in the European Union. There is no vaccine available and, in 12 percent of cases, extreme symptoms such as respiratory or multi-organ failure will result in the patient's death. There are, of course, a set of available methods to detect Legionella in water – its main vector – before it risks infecting EU citizens. But these methods are not without drawbacks. Culture-based techniques, for starters, can lead to contamination risks being underestimated due to overgrowing competing microbiota and, in up to 20 percent of cases, they produce inconclusive results. Polymerase chain reaction (PCR)-based techniques – the only existing solution to monitor Legionella in environmental systems – also fail to deliver. 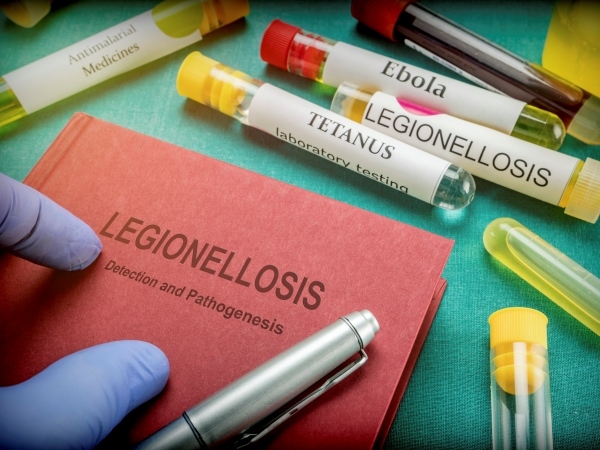 OSHA has revised its safety and health topics page about Legionellosis to include updated information on preventing, identifying and managing workplace exposure to Legionella bacteria hazards. Legionellosis comprises Legionnaires’ disease, a potentially life-threatening type of bacteria-induced pneumonia, and Pontiac fever, a less serious affliction. About 6,000 cases of Legionnaires’ disease are reported annually, according to OSHA. The disease is not contagious and is treatable with antibiotics. The National Institutes of Health states that Legionnaires’ disease typically is contracted by ingesting mist from water that contains Legionella bacteria. The water may originate from hot tubs, showers or air conditioning units in large buildings. OSHA updated both Chapter 7 of the OSHA Technical Manual and its Legionella eTool, a device intended to assist employers, health care providers, and safety and health professionals when inspecting jobsites for Legionellosis. Legionella, the bacteria that causes Legionnaires' disease and other illnesses, has been confirmed in at least 12 of around 200 cases of pneumonia in Brescia, northern Italy, authorities said on Tuesday. The bacteria, which is typically transmitted to humans by inhaling contaminated water, was present in one of two people who have died of pneumonia-like symptoms in the northern province in little over a week, according to regional councillor Giulio Gallera. A 29-year-old man with legionella in his system is currently in intensive care, Gallera said. As of Monday night 235 people had sought emergency treatment for suspected pneumonia, and 196 were in hospital. Another 12 refused admission or have been discharged. Separately, a suspected legionella infection was reported on Tuesday in Turin, where a woman in her 60s and suffering from other health problems died in hospital with symptoms of pneumonia. Health authorities are investigating, according to Ansa, which reports that she may have picked up the bacteria while on holiday at the coast. Legionella can be fatal if it enters a building’s water system or other water-related areas. Six employees of an electrical company came down with flu-like symptoms after working in a client facility by the pier. The building’s sprinkler system had accidentally discharged while the employees were working inside. Three went to their primary care provider where they were diagnosed with Legionnaires’ disease or Pontiac fever. However, none of the employees were diagnosed with pneumonia. All six employees fully recovered after three to five days. The landlord of the building was notified and Legionella sampling was performed. The results showed Legionella Pneumophila Serogroup 1 (LP1) in a majority of potable water taps tested. This is the same strain that may cause Legionella Disease (LD), a potentially fatal pneumonia. The information was shared with the employer, who chose not to accept any future work involving this worksite due to the client’s lack of proper remediation of the worksite and the risk of exposing employees to LD with potentially fatal consequences. France/USA-based Infection Control Solutions expert aqua-tools has said that cruise ship and ferry operators must do more to protect passengers from contracting Legionnaires’’ disease and other infections from waterborne pathogens. The research paper to which Raymond refers is Legionella Risk Assessment in Cruise ships and Ferries, published in June 2017 by the US National Institutes of Health’s National Library of Medicine. 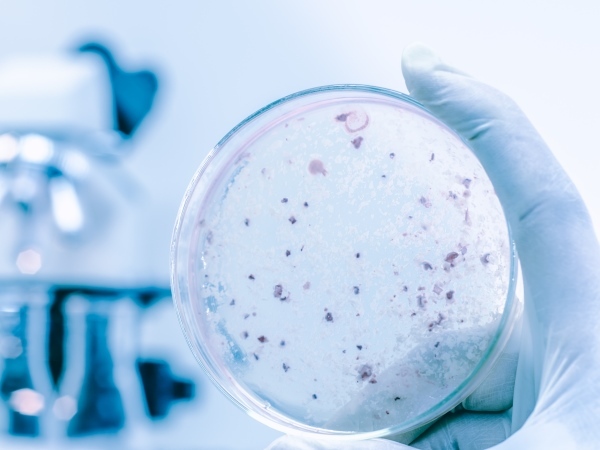 An outbreak of Legionella bacterial infections in the Lombardy region of Italy has claimed three lives and affected a total of 26 people so far. Three elderly people have died in Bresso, a town 20 minutes north of Milan in the Lombardy region, from infection by Legionella pneumophila bacteria, local authorities have said. "The latest data tells us that 26 people living in Bresso in the last 12-13 days have contracted the bacteria, of which three unfortunately have lost their lives,” the local authority announced. The mayor of Bresso, Simone Cairo, stated at a press conference today that "cases have a prevalent but not exclusive geographical distribution" in the area. "The situation is under my control. All the authorities that had to take action have been activated": Cairo said. Scientists at Porton Down found that 95% of water butts in Britain are contaminated with legionella bacteria. Homeowners who follow government advice to use water butts to hose their gardens and wash their cars risk exposing themselves to a dose of deadly legionella bacteria, scientists at Porton Down have warned. They found that 95% of Britain’s 11m water butts were contaminated. Spraying such water from a hose or sprinkler could spread the microbes into the air over a garden, allowing them to be inhaled and to trigger an infection. 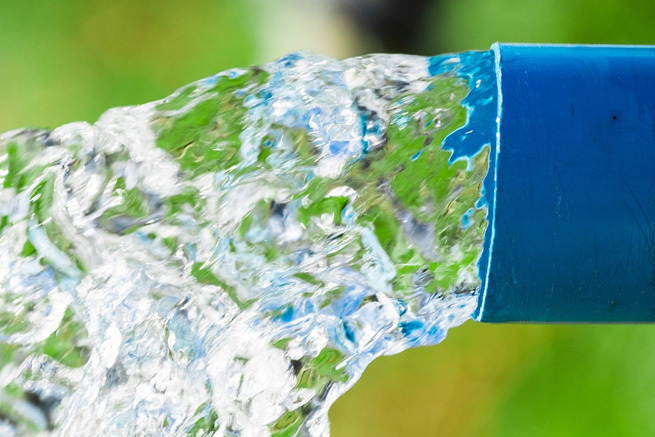 “The presence of legionellae in collected rainwater and their aerosolisation through gardening activities like hosepipe use may have important public health consequences,” warned the researchers in a scientific paper. Eight lessons learned in the US from ANSI/ASHRAE Standard 188-2015, New York City cooling tower regulations, and the Centers for Medicare & Medicaid Services (CMS) Legionella requirement point to a strategy for preventing Legionnaires’ disease in the United States that is profoundly simple and almost entirely dependent on state health officials. Legionella is a borderless problem! Despite government and industry warnings since the 1990s that building water systems must be properly managed to reduce the risk of Legionnaires’ disease and guidelines to explain how, only a small percentage of facilities have implemented preventive measures voluntarily. The anticipated spike in prevention from the release of ANSI/ASHRAE Standard 188-2015 in June 2015 turned out to be only a blip, even after the Centers for Disease Control and Prevention (CDC) urged compliance with the standard. Bupa has been fined £3m after an elderly resident died from Legionnaires’ disease at Hutton Village Nursing Home in Brentwood, Essex. Ipswich Crown Court heard that Kenneth Ibbetson, 86, died three months after moving into the home in March 2015. A Health and Safety Executive (HSE) investigation found Bupa had failed to implement the necessary control and monitoring measures required to safely manage the home’s hot and cold water system for more than a year during refurbishment works. It also found those responsible for overseeing Legionella controls and for taking crucial water temperature measurements had not been trained to the required standard. HSE principal inspector Vicky Fletcher said: “It is heart-breaking to think Kenneth contracted Legionnaires’ a matter of weeks after moving into the Hutton Village Care Home. His family have been left devastated by his sudden death. Joan Elliott, managing director for Bupa Care Services, said: “Our thoughts are with Mr Ibbetson’s family and friends, and we are deeply sorry. Antimicrobial resistance (AMR) is a major medical problem worldwide, impacting both human health and economic well-being. A new strategy for fighting bacteria has now been reported in the latest online issue of Nature by a research group headed by Prof. Ivan Dikic at the Goethe University Frankfurt. The scientists revealed the molecular action mechanism of a Legionella toxin and developed a first inhibitor. As resistance continues to spread, common infections such as pneumonia and salmonellosis are becoming increasingly harder to treat. Two factors drive the AMR crisis: human negligence in the use of antibiotics and a lack of truly novel antibiotics for more than 30 years. According to a recent report by the World Bank, by 2050, AMR may reduce the global gross domestic product by 1.1 percent to 3.8 percent, depending on which scenario plays out. A manufacturer has been fined £1.6 million after a Legionnaires’ disease outbreak and an explosion occurred at the same plant within a year. The Health and Safety Executive investigated and prosecuted car parts maker Faltec Europe Limited in relation to both incidents. Five people fell seriously ill following the Legionnaires’ disease outbreak and one worker suffered serious burns from the explosion incident. On May 17, Newcastle Crown Court heard that between October 2014 and June 2015, two employees, two agency workers and a local resident fell seriously ill with Legionnaires Disease. 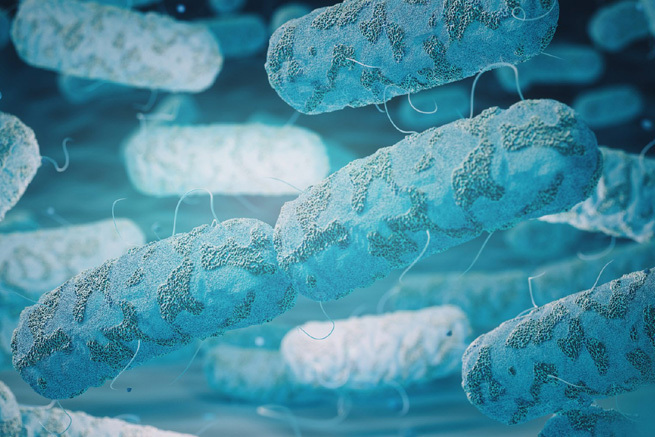 The HSE found the illness was caused by Faltec’s failure to effectively manage its water cooling systems within the factory, causing the legionella bacteria within the water supply to grow to potentially lethal levels. This past month Advanced Water Technologies has welcomed onboard their new Operations Manager – Mike Myers MBIFM M.W.M.Soc. Mike joins the business from another water treatment company, prior to that he was the Facilities Manager for a private school, and he served for 18 years as a Commissioned Officer in the Royal Air Force. Advanced Water Technologies works hard to ensure that the services it delivers are compliant to ACOPL8 and associated HSG’s, and HTM04/01; supporting clients in the prevention and control of legionella and other water bacteria. To ensure this is the case, it is Mike’s aim to visit and audit every site managed by AWT in the coming 12 - 14 months. Additionally, ensuring that day to day operations of the Company are run smoothly and in accordance with company policies and procedures. Mike is a keen cyclist and uses that passion to raise money for several charities each year. 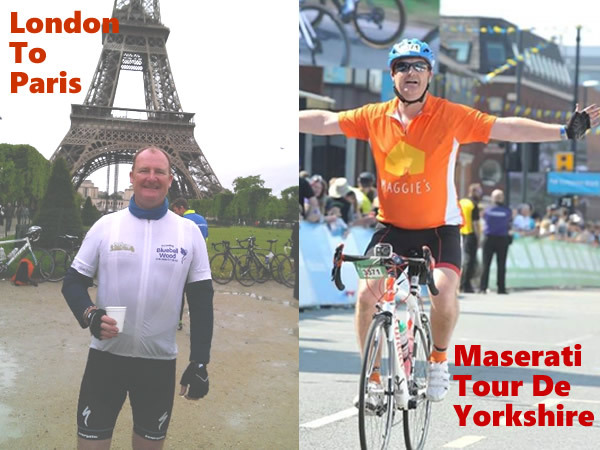 Most recently completing the Maserati Tour De Yorkshire event, raising funds for Maggi’s Cancer Care (his just giving page remains open!). His next challenge will be in July, when he will ‘Pedal for Parkinson’s’ – aiming to complete 500 miles during July. The Royal United Hospital admitted health and safety failings following the death of a man in 2015. The family of a man who died in hospital in Bath after contracting a water borne disease say they hope no other family will suffer as they have, following an investigation which exposed risks to other patients. When Terence Brooks, 68, died from Legionnaires’ disease in July 2015 a breach in health and safety at the Royal United Hospital was exposed. The Health and Safety Executive has warned the hospital’s failings are “concerning” today (April 20) after a sentencing hearing at Bristol Crown Court ended with a hefty £300,000 fine for the Royal United Hospitals Bath NHS Foundation Trust. An earlier inquest found Mr Brooks contracted the deadly legionella bacteria while on the William Budd ward, where he was a cancer inpatient. Legionnaires’ disease has been on the rise in the United States since 2000, according to the US Centers for Disease Control and Prevention (CDC); although upwards of 6000 cases were reported in 2016, the CDC stressed that this may, in fact, be an underestimation. The reason behind this increase in cases remains to be determined; however, it is safe to say that the answer is multifactorial. One such factor is that there has been an increase in the susceptibility of people in the United States; the populating is aging, and there is an increasing number of individuals on immunosuppressive medications. As the disease receives more media attention—with outbreaks constantly making headlines—Legionnaires’ has become a public health priority, and, as such, efforts to prevent the disease are expanding. Guidelines on controlling the disease have been developed, and regulations focused on improving clinical surveillance of the disease and water management in health care facilities have been put into place in certain jurisdictions. A DNA test method called polymerase chain reaction (PCR) allowed New York City health officials to identify the source of a Legionnaires' disease outbreak within hours of specimen collection and should be considered in all Legionnaires' outbreak investigations, researchers say in the April issue of the Journal of Environmental Health. Their study describes the outbreak response and innovative use of PCR rather than the standard method of bacterial culture, which generally takes five to 10 days for a lab to detect the presence of Legionella bacteria, said co-author Christopher Boyd, who led the city's response to the 2014 Legionnaires' outbreak as then-assistant commissioner of environmental sciences and engineering. "In an outbreak investigation, the ability to identify and mitigate possible sources of exposure is critical to preventing more people from becoming infected. By using PCR, we were able to mitigate risks days earlier than if we had relied on traditional culture methods," said Boyd, who is now general manager of Building Water Health at NSF International, an independent, not-for-profit public health and safety organization. "Our approach likely helped prevent more people from getting sick, because we were responding much sooner." Microarray rapid test speeds up detection in case of a Legionella pneumophila outbreak. In an outbreak of Legionnaires' disease, finding the exact source as quickly as possible is essential to preventing further infections. To date, a standard analysis takes days. Researchers at the Technical University of Munich have now developed a rapid test that achieves the same result in about 35 minutes. Legionella are rod-shaped bacteria that can cause life-threatening pneumonia in humans. They multiply in warm water and can be dispersed into the air via cooling towers, evaporative re-cooling systems and hot water systems. The most dangerous among the almost 50 species of Legionella is Legionella pneumophila. It is responsible for 80 percent of all infections. When an outbreak occurs, the source of the germs must be identified as soon as possible to prevent further infections. Similar to a paternity test, the origin of the outbreak is confirmed when the germs in the process water of a technical system exactly match those identified in the patient. However, often numerous systems must be tested in the process, and the requisite cultivation for the test takes around ten days. NSF International, a global public health and safety organisation, is hosting Legionella Conference 2018 - Managing Legionella and Other Pathogens in Building Water Systems on May 9-11, 2018, in Baltimore, Maryland. The three-day conference is sponsored by the National Science Foundation and marks the first time experts from industry, academia, public health, medicine and government will meet to discuss Legionella and other pathogens found in water distribution systems, building water plumbing systems and cooling towers. Legionella Conference attendees will discuss and learn the latest monitoring, treatment and management approaches for successfully preventing the spread of Legionella in buildings, hospitals and other at-risk facilities. The incidents occurred in Italy, but could also take place in the UK. Legionella bacteria thrive in warm, stagnant water, found at car washes. Legionnaires' disease affects around 500 people a year in England alone. People are choosing showers over baths and bacteria gather on the heads. Showers in 1.5 million homes across the UK could be harbouring such bacteria. Visiting a car wash could be life-threatening, new research suggests. Two men became seriously ill with Legionnaires' disease after inhaling infected water droplets from separate car washes in Italy, a study found. According to microbiologist Dr Tom Makin, a senior consultant at Legionella control, the same risk applies in the UK. A strain of legionella bacteria has been found in the plumbing system of a County Antrim nursing home. It was discovered at Broadways Nursing Home in Larne in November. The Regulation and Quality Improvement Authority (RQIA) said, that while the bacteria is present, there has not been an outbreak of legionnaire's disease. The entire water system at the home is being replaced to address the issue. The home said the issue would be resolved in the coming weeks. The RQIA said use of some taps in the home have been withdrawn and others restricted as a precaution. Tap filters and bottled water have also been provided to residents. The regulatory body has also notified the Health and Safety Executive. Lisbon, Portugal, the number of people infected in the latest Legionella outbreak in Portugal climbed to 13 in January 2018, the country's Directorate-General of Health (DGS) announced. The outbreak was first reported on Sunday, with 4 cases detected at the CUF Descobertas Hospital in Lisbon. The number of infected has since risen to 13, of whom 9 are female and 3 are in intensive care. The hospital's shower system is thought to be the most likely cause, with sink taps being investigated too. Legionella is a bacteria that lives in water. It is best known as the bacteria that causes Legionnaire's disease, a serious form of pneumonia. In 2017, 233 cases of Legionella were detected in Portugal. In 2014, a Legionella outbreak in Vila Franca de Xira, a region in the east of Lisbon district, infected 375 and killed 12. Legionella can plague marine vessels but an effective Water Safety Plan can help to mitigate the risk, says John Chillingworth, senior marine principal at Lucion Marine. Initial symptoms of Legionella usually include flu-like symptoms such as headaches, muscle pain and fever, with symptoms of pneumonia once bacteria begin to infect the lungs. There are different degrees of Legionella: the worst can cause death but there is a lesser known form called Pontiac, which can often be misdiagnosed as flu and can only be accurately verified by having a urine test. While the Pontiac strain is like a severe five-day flu for fit people, it can be worse for older people or those with breathing difficulties. The disease, which isn't contagious and can't be spread directly from person-to-person, is usually caught by breathing-in small droplets of contaminated water, usually in showers - it’s transmitted by an air-borne mist and can develop in still water between 20°C and 50°C. It can also lie dormant in otherwise ‘safe’ water systems for years, protecting itself in other matter available in the water system biofilm. It is therefore important that water supplies are kept below 20°C for cold water and 50°C for the hot supply. Over the years there have been a number of high profile cases that have hit the headlines highlighting the risk of the disease in the marine environment, particularly among cruise ship passengers. 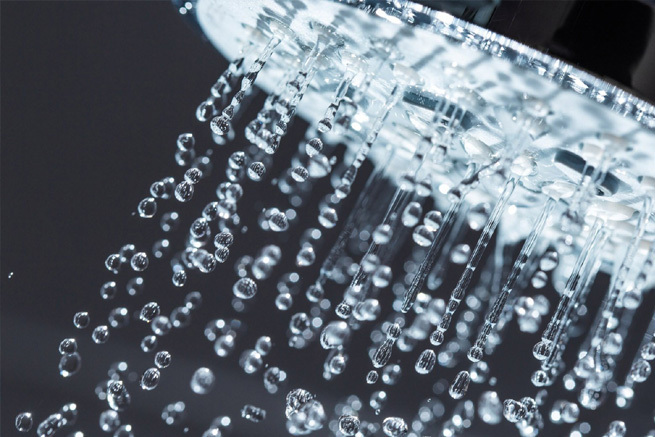 Showers that have not been used for several days or weeks, along with poorly managed whirlpools, jacuzzis, spray from decorative fountains or water features, can all be sources for contracting Legionella-related illnesses. There have also been cases of shipyard fitters dying from Legionella after stripping down equipment such as pumps and being exposed to contaminated water. However, all types of ships are at risk including off-shore accommodation vessels, which are known to have had several cases of the disease after being laid up and re-commissioned without the proper attention to potable (drinking) water safety. Container vessels have large potable storage tanks that are used infrequently, while skin tanks may prevent a ship’s water system from maintaining the cold-water temperature below 25°C. Although there is far more awareness today of the risks of onboard Legionella and its effects, there’s a perceived lack of knowledge at both vessel management and crew level. There’s also a significant corporate risk with the potential damage to reputation, and operator integrity on the line, for anyone whose vessel is affected by the disease. This all reinforces the need for a thorough Legionella risk assessment to be included as part of a preventative ship repair and maintenance programme and yards should be alerted to any potential risks before a vessel arrives in dock. A proper Water Safety Plan (WSP), as recommended by WHO Water Safety Guidelines, should be implemented and based on an individual vessel risk assessment, and not, as is usually the case, a generic set of broad guidelines. This must also be ‘owned’ by the vessel’s management. Bacteria responsible for the deadliest waterborne disease in the United States are frequent residents of the cooling towers that are a part of heating and air conditioning systems in apartments, hospitals, nursing homes, hotels, and other large buildings, according to a study from the U.S. Centers for Disease Control and Prevention. Legionnaires’ disease, the pneumonia-like illness spread by Legionella bacteria, sickens thousands annually in the United States and kills hundreds. Cooling towers, because they can disperse contaminated droplets over many miles, are implicated in numerous outbreaks of the disease. It’s a scenario that should concern building managers throughout the country, the study authors argue. “Finding the bacteria in all regions that we studied makes us aware that Legionella outbreaks are a possibility everywhere,” Brian Raphael, a CDC microbiologist and study co-author, told Circle of Blue. The bacteria, which grow in warm waters in plumbing systems, target the lungs. Infection occurs when people inhale bacteria, having become airborne in the spray from a cooling tower, fountain, showerhead, or faucet. The ill and the elderly are most at risk — and that risk appears to be growing. Reported cases of Legionnaires’ disease have risen sharply, showing a four-fold increase in the United States since the year 2000, according to the CDC. The study’s publication comes as the National Academy of Sciences begins an investigation next month of how to reduce the risk of Legionnaires’ disease and as a series of infections at a state-run veterans home in Illinois has brought the disease to the attention of the governor and one of the state’s U.S. senators. The worst care homes in England for decent standards of care can be found right under MPs’ noses in Westminster, according to a new investigation by consumer champion Which?. The lack of good quality care is by far the worst in the central London borough where almost seven in 10 beds (69 per cent) were found in care homes rated as below standard, analysis of Care Quality Commission (CQC) data found. Parts of the country have more than half of their care home beds in homes rated as requiring improvement or inadequate, the investigation reveals. In Manchester and Wakefield, three in five beds (58 per cent) are in below-standard homes, closely followed by Kirklees (57 per cent), in West Yorkshire, Portsmouth (56 per cent) and Tameside (55 per cent). A lack of quality care and increase in Legionella are directly linked. In total, nearly a third of local authority areas, or 45 councils, have one in three beds or more in poor-quality care homes. Nine of these are in the capital with the wealth of the borough not seeming to play a role in outcomes: and Chelsea, one of the wealthiest areas, had almost exactly the same number of inadequate beds as Tower Hamlets, one of the most deprived areas of London. At least nine in 10 care home beds are in homes rated as good or outstanding in a small number of areas, including the Isles of Scilly, which had a perfect 100 per cent score, Richmond upon Thames (94 per cent), Rutland (91 per cent) and Blackburn with Darwen (90 per cent). Stainless steel sinks and kitchen taps could increase the risk of contracting deadly Legionnaires' disease, new research reveals. Researchers believe taps should be tested for their bacterial safety before sale. The growth of bacteria responsible for Legionnaires', which has previously been linked to rust, is highest in stainless steel taps, a study found. Such taps are thought to encourage bacterial growth as their protective coating typically degrades over time, promoting rusting, according to the researchers. The European Centre for Disease Prevention and Control (ECDC) recommends people avoid Legionnaires' by keeping hot-water systems heated to between 50 and 60°C, as well as running taps regularly to avoid water standing for too long. Legionnaires’ disease, which causes headaches, muscle pain, fever and confusion, affected around 7,000 people in Europe in 2015, however, the ECDC believes there may have been many more unreported incidences. Legionnaires' Disease Is Rising At An Alarming Rate In The U.S. The waterborne bacterial infection kills 1 in 10 patients who contract it. And fighting outbreaks is a multi-front battle. Health officials are increasingly concerned about the continuous uptick of Legionnaires’ disease cases, which have risen steadily since 2000. While the waterborne bacterial disease is relatively rare ― with 6,238 cases nationwide so far this year ― there has been a 13.6 percent increase in cases since this time last year. That’s nearly double the increase of 7.8 percent from 2015 to 2016 in the same time period. The disease is not contagious. It’s contracted when people breathe in water droplets contaminated with Legionella pneumophilia bacteria. Global public health organization NSF International has published a new protocol, which outlines proper maintenance and safety practices associated with evaporative cooling systems. NSF P453: Cooling Towers – Treatment, Operation, and Maintenance to Prevent Legionellosis also addresses health concerns associated with commercial buildings, including health care facilities, whose residents may experience health issues such as Legionellosis from improperly maintained water systems. It can also be can be used by facilities to establish a management plan for the treatment, operation and maintenance of cooling tower water systems. The protocol can be applied in Canada and references follow local regulations from the Authority Having Jurisdiction. It uses the water safety plan approach recommended by the World Health Organization to assemble a team, identify potential hazards and establish control measures to prevent the growth of Legionella bacteria. According to the Public Health Agency of Canada, fewer than 100 cases of Legionnaires’ disease are reported each year, but the actual number of infections could be much higher. Statistics are also worrisome in other parts of the world. In the U.S., 5,000 cases of Legionnaires’ disease are reported each year. Back in 2015, more than 50 residents of Quincy’s Illinois Veterans Home came down with Legionnaires’ Disease and nine veterans died. The state spent almost $5 million upgrading the home’s water treatment system in 2016. But not long after that unveiling, two more veterans contracted the disease. And here we go again, two cases of Legionnaires’ disease have been confirmed at the Illinois Veterans Home Wednesday morning. David MacDonna, a Public Information Officer with the Illinois Department of Veterans Affairs says Legionella tests came back positive for two residents. One of those residents is now deceased, however, the Illinois Veterans Home says the individual had a complex medical issue aside from Legionnaires’. The second individual is being treated for the disease. “We work continuously with the Adams County Health Department to identify any potential sources. We’ve done an extensive renovation, including a brand new water treatment plant to provide higher quality water,” said MacDonna. Spanish health chiefs are investigating the cases on Palmanova, the neighbouring resort of Magaluf, after positive samples of Legionnaires’ were found at an unnamed hotel. An outbreak of Legionnaires’ disease has killed one tourist and left another 17 seriously ill on a Majorcan island popular with British holidaymakers. Spanish health chiefs are investigating the cases on Palmanova, the neighbouring resort of Magaluf. Positive samples of Legionnaires’ have been found at an unnamed hotel where eight of the 18 people affected were staying. Experts are currently awaiting the results of tests at other hotels in the area, as well as fountains, beach showers and a local water park. Today it emerged one of the 18 people known to have been diagnosed with Legionnaires’ had died in Son Espases Hospital in Majorca’s capital Palma a week ago. Does Your Business Have a Cooling Tower? Expect a HSE Audit Soon! In light of the recent threat posed by Legionnaires' disease to the UK water supplies, the HSE have implemented an Intervention Programme to protect cooling towers from becoming infected with this potentially fatal bacteria. Legionnaires' disease is a serious form of pneumonia that devolves from the Legionella bacteria, known to reproduce most efficiently in stagnant water. In 2011, there were 235 reported cases of the disease in England and Wales alone. The HSE hopes that by auditing the UK's cooling towers, this number should be set to fall between 2012 and 2014, when the Intervention Programme will run. Ensuring that risk assessments are carried out every two years, or more frequently where changes occur. These should be able to effectively identify any potential sources of risk in order to eliminate them from the system. This should identify the accountability of each responsibility, setting out a clear 'who does what' procedure for dealing with potential risks. Details on site operation, risk assessments, cleaning and reviews should also be listed for the cooling tower. This should detail system monitoring procedures, control parameters for water treatment and titles such as membership of the LCA for the water treatment company. Water treatment companies should have extensive and accurate record keeping detailing reports, external visits, log sheets and any relevant information relating to the site's cooling tower(s). The HSE aims to effectively target the outbreak of legionnaires disease to prevent infection around the UK, by enforcing these standards with a combination of assessment and action. For more information about Legionnaires' disease and for practical advice regarding its prevention visit the HSE site. Non oxidising biocides are used alongside oxidising biocides to ensure a low population of microbes such as legionella. Two non-oxidising biocides can also be used in an alternating programme as in certain circumstances a reduced efficiency can develop . Using them, one should monitor the microbiological activity in the cooling water on a regular basis by dip slide analysis and specific Legionella analysis on a quarterly basis. Non oxidising biocides are chemicals that attack certain organs of the micro-organism. This may be the cell wall or reproductive system. Non oxidising biocides include Ammonium salts, Glutaraldehyde, DBNPH and Isothiazolinones. All are very toxic so should be used usually in low doses to prevent damage to the environment when the cooling system is bled. They all have differing half lives and persistence so it is essential that the system volume and bleed rate of a cooling system are known so that a killing dose level is held in the system for the requisite time. Relatively small doses are usually used. Between 50 and 300 ppm depending on the type of biocide and the cleanliness of the system water. It is usual to add them to the water using a suitable pump and timer system. Addition to the cooling system should be based on the known half life. Essentially you should top up as soon as the dose concentration falls to below the killing concentration. Your Water Treatment contractor would be able to help with this. In order to maintain an effective toxicity the cooling water should be monitored regularly for chemical and microbiological composition. This will ensure that microbial levels are kept at safe levels at all times. To find out more about this subject please call our specialist team on 01925 713273, or email us info@advanced-water.co.uk. Through exposure to ultraviolet light, and copper and silver ionisation techniques, you can reduce microbial growth in your cooling system. This blog will discuss the processes involved in using the two techniques. Both electromagnetic and ionisation techniques have maintenance issues but choosing the right antimicrobial system will ensure a safe cooling water supply. By exposing micro-organisms to certain wavelengths of electromagnetic radiation you can maintain their populations at safe levels. This process is used to render drinking water safe and can also be used in process water systems. It is rarely used in cooling water systems. Using wavelengths of 250 - 270 nanometres you can deactivate most harmful bacteria. Being light, it needs relatively clear water with low levels of suspended material to work. As such it is recommended that the water is filtered upstream of the light source to ensure that the light can reach the whole area being treated. Dosages of UV light radiation are measured in milliwatt seconds per square centimetre (mW/s cm2). The minimum effective exposure is recognised as 20mW/s cm2. In order to maintain this rate it is important to regularly monitor the system and keep the light source clean. This system can be used in conjunction with a free chlorine oxidising biocide. Copper and silver ions persist better in water systems in the presence of chlorine levels of around 0.2mg/kg. Copper and silver ions kill bacteria by interfering with their cell walls. The best concentrations of copper and silver ions is between 15-20 microgrammes per litre. This system is not recommended in hard water areas as limescale can cover the electrodes that release the ions into the water supply. pH levels are important in such treatment systems as silver ions won’t be maintained at a suitable level at pH 7.6 or above. Cooling Tower Safety: Be Bacteria Aware! Legionnaire's Disease can be fatal. Making sure your cooling tower is correctly maintained is the best way to prevent an outbreak of the illness among the users of your building. There are three factors to be aware of in cooling tower maintenance. Many cooling systems are made of mild steel. Legionella bacteria love rust and use the Iron as nutrient in order to grow in numbers . Preventing corrosion of the pipes will reduce risks of Legionella reaching dangerous levels. You will have run into limescale in your kettle or washing machine at home. This is an accretion of deposits from the water supply. As with rust, Legionella will form colonies on limescale deposits and from there may increase the risk of causing an outbreak. Biological deposits such as insects that have got into the system. Silt and clay from outside the cooling system. As with the rust and limescale these deposits will form a nice place for Legionella to colonise and become a risk. Keeping your cooling tower clean wherever possible will ensure that there is no build up of these deposits. All cooling systems should use biocides to kill off Legionella. When the system is being treated it is important that the whole cooling system is brought online so there is nowhere for the bacteria to hide. Another way is to set up a bleed from the system so that comtaminated and concentrated water is removed when pre-determined levels are reached. The water level in the system is maintained by allowing fresh water to come in. Considering the serious risks of a Legionnaire's Disease outbreak it is vital to maintain your cooling tower correctly to prevent serious illness or death. 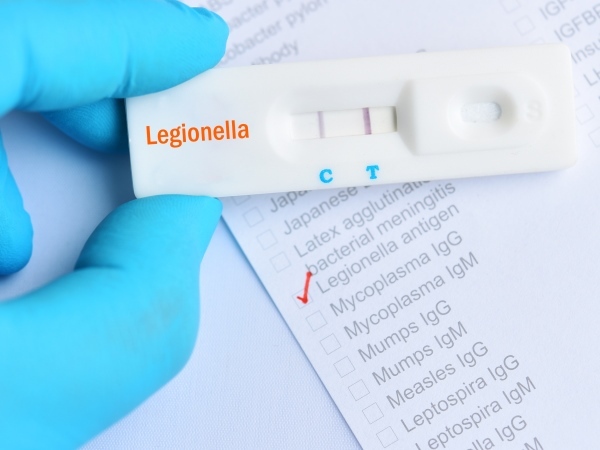 Legionnaire's Disease can be a killer - it is very important you prevent a build up of Legionella bacteria to prevent such an outbreak of the disease. Routine monitoring will ensure a safe environment for everyone in the building where your cooling system operates. You should monitor the environment in which the bacteria live in order to make it as unsuitable as possible for a build up to occur. You should also monitor overall and specific Legionella bacterial levels so you can prevent an outbreak as soon as possible before anyone is harmed. Monitoring the environment includes pH testing, dissolved and suspended solids levels, dissolved and soluble Iron levels and water hardness. In monitoring these levels you can help minimise the bacteria from growing in significant numbers in the first place. It is difficult to directly measure non-oxidising biocide levels in the cooling system so this must be done by calculating the volume of the system, the bleed off rate and half life of the biocides - the time it takes to reduce to a non-effective “killing“ dose. It is possible to measure oxidising biocide levels, typically Chlorine, Bromine or Chlorine dioxide. This is done with a simple test and should be done regularly, the frequency depending on the type of system. Bacterial levels themselves should also be monitored on a regular basis. In the next section we will discuss how to do this. It is important that you have not recently given the system a biocide treatment just before as you will get false results. Monitoring overall bacterial levels is done with a dip slide that has an Agar gel on it. The dip slide should be dipped in the water supply for approx.10 seconds, allowed to drain and then incubated for 48 hrs at 30*C. The slide is then evaluated by comparing it with a coloured chart. The level of overall bacterial activity should be less than 10,000 cfu/ml. Monitoring overall levels of Legionella bacteria is done by taking a one litre sample and submitting it to an independent laboratory for a specific and involved test. Initial results will be available from 3 days after submission of the sample. The full test will be completed in 10-14 days. If a Legionella positive is confirmed then further action is needed. To be decided in conjunction with your Water Treatment supplier. You can contact our experienced team on 01925 713273. Almost all water systems in the UK are at risk of being contaminated with Legionella, the bacteria which causes Legionnaires Disease. And to this day, the disease itself remains a considerable threat to the lives of people across the country. It is therefore vital that anyone responsible for managing a water system in the UK not only installs a Legionella Monitoring System, but also ensures that the approach they choose is effective. Under HSE regulations it is required that the people you choose to carry out the Legionella risk assessment on your water system are fully competent to do the job. However it is possible for providers to go much further. The best Legionella monitoring system providers will not only assess the risk that is currently in your water system, but will also provide advice and support to create a standard operating procedure that will minimise future risk as well. Legionella bacteria are most prevalent in water that is held between 20 and 45 centigrade and cannot survive in temperatures above 60 centigrade. In many cases, it is therefore possible to reduce the risk of Legionella simply by adjusting the thermostat. The speed of flow within the water system can also influence the risk of infection as can the types of materials used to create the equipment and its on going cleanliness. Any fully competent Legionella assessor will be able to identify areas within the system that are prone to contamination and provide the resources to resolve any potential issues. Though a professional assessor should carry out your Legionella monitoring, it is also essential that your employees are aware of the risks and how to reduce them. Choose a service provider that offers awareness training to the relevant staff. This will ensure the risk of Legionnaire's disease developing in your water system can be minimised by those that work with it every day but also that the relevant personnel are aware of the their responsibilities should an outbreak occur. When using an industrial steam boiler, one of the biggest potential hazards comes from the impurities in the water itself. These manifest themselves in four key forms that, without effective treatment, can lead to considerable damage within the entire system. The main offenders of dissolved solids in steam boilers are calcium and magnesium. Both sulphates are scale forming when they are heated and can therefore leave hazardous deposits within the boiler and pipe network. Such deposits can lead to a reduction in the overall flow of the boiler and ultimately to blockages, corrosion, or total equipment failure. Unlike dissolved solids, suspended solids remain in the water system in their original form, which makes them more likely to cause blockages or create areas of contamination. Thankfully, most solids of this nature can be filtered out of the water system before they enter the boiler. However, regular checks are required to ensure no such materials have been deposited. Dissolved gasses such as oxygen and carbon dioxide are one of the major causes of corrosion within the standard industrial steam boiler. They cause weaknesses within the system that can result in a shorter lifespan for the effected equipment. As such, impurities occur naturally in the water and it is very difficult to effectively reduce the levels of these solutions within contained water. However, effective steam boiler treatment will dilute the level of dissolved gasses and introduce corrosion resistant practices into the boiler that will combat their effect. When scum or foam forms on the top of any water surface, it is a key indication that impurities exist that could harm the productivity or lifespan of the equipment involved. 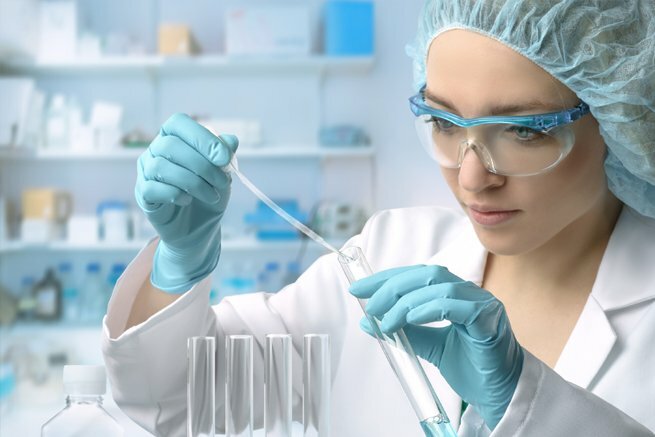 When scum or foam is discovered, detailed testing is required to identify the specific substance causing the scum and to identify the treatment required. Whenever you employ a company to treat your industrial boiler, ask them how they combat each type of water impurity within their steam boiler treatment to ensure your service is going to be fully effective. Find out more about our steam boiler treatment service. Legionnaires Disease is a potentially fatal form of pneumonia. It is developed by inhaling air born particles of water that contain the Legionella bacteria, which attack the lungs and other internal organs of the body. Though Legionella is naturally found in the waters and environment in which we live, the bacteria can rapidly develop to dangerous levels when they enter any man-made water system. In Europe alone, more than 32,000 cases of Legionnaires Disease were reported in the ten years up to 2005, with forecasts of cases expected to rise over the coming years. Though not all cases are terminal, with fatality rates ranging from 5% up to 50% for the most severe infections, Legionnaires Disease remains a significant threat. In 2010 38 people died in England and Wales due to Legionaires Disease with symptoms ranging from organ failure to sceptic shock brought on by the infection. The Legionella bacteria is potentially fatal to any victim, even if the person in question has been in good health. This means everyone who comes into contact with infected water vapour is vulnerable. Furthermore, it is possible for this bacteria to remain active within the air for long periods of time. During one case in the French region of Pas-de-Calais, it was discovered that victims had been infected at a distance of over 6 kilometres away from the original infected water source, resulting in a total of 21 of the 86 people involved loosing their lives. It is therefore essential that all commercial water systems are effectively monitored and managed to reduce the chances of Legionnaires Disease becoming an issue. 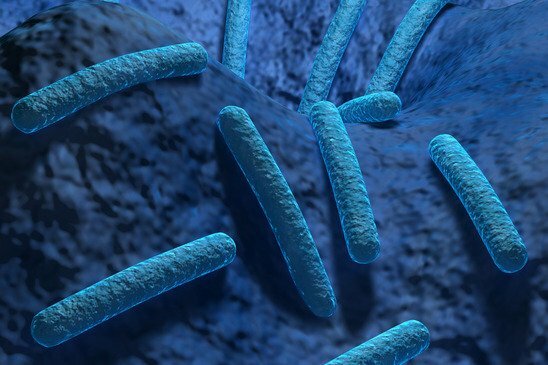 When carried out effectively, Legionnaires Disease monitoring can manage the level of Legionella bacteria within the water system to reduce the risk of an outbreak occurring. All companies that work with artificial water supplies are legally required to comply to strict health and safety regulations which govern the monitoring and control of the Legionella bacteria. In the UK, duties required to comply with this legislation are defined by the Health and Safety Executive. They state that any individual who manages a commercial water system is not only responsible for ensuring regular risk assessments are carried out in relation to the threat of legionnaires disease within their water, but also that they have responsibility for preventing and managing any risks as they occur. To find out more about how we can help you with your Legionalla Monitoring, please call us on 01925 713273. The key to preventing Legionnaires Disease is to ensure that any water contained within an artificial system is effectively managed to ensure it complies to health and safety limits. As the Legionella bacteria thrives in warm stagnant water, all liquids should be kept at a temperature below 20°C or above 60°C wherever possible and kept moving to ensure that it the liquid remains fresh. This means that water systems should be regularly cleaned and maintained to reduce the chances of the bacteria being able to form in slow moving or stagnant water, and that regular checks for the levels of Legionella bacteria are crucial. For further information on the responsibilities of the actions that must be carried out when working with water systems refer to the Health and Safety Executive website to ensure your workplace complies. If you would like to talk to one of our experienced team members please call us on 01925 713273. We look forward to hearing from you. As the steam evaporates within the heat exchange process in a cooling tower, the concentration of water left behind rises. This can cause problems of contamination, corrosion, scale formation and fouling. Only with comprehensive cooling tower water treatments is it possible to avoid the long term costs associated with the reduced efficiency, equipment failure and health and safety risks that can result. The Public Health Laboratory Service recently discovered that 60% of all man-made water systems in the UK contain legionella, the bacteria which causes the potentially fatal Legionnaires Disease. In fact, the risk of bacterial build up leading to such diseases is so real that the Government have now implemented their own legislation governing the treatment of the water used in cooling towers to ensure that all such systems are managing the threat effectively. Regular assessment and control at a microbiological level with the use of biocides, is essential to inhibit the development of a range of harmful bacteria within cooling towers. Not only to maintain the health and safety of those living and working near the units, but also to extend the long term efficiency of the system and the operation it supports. In a cooling tower, corrosion can be caused by standard oxidisation and galvanisation, as well as chloride and microbiatic sources which attack the structure of the system. To avoid the threat of corrosion in cooling towers, it is essential to regulate the chemical content of the water and implement corrosion inhibitors to control the acidic concentration within the system. Unfortunately, the less corrosive water becomes, the more prone it becomes to limescale. Therefore, effective corrosion management is only possible when carried out alongside scale formation treatment in order to maintain the lifespan of the cooling tower without impeding efficiency. Limescale is an inevitable by-product of any heat exchange process, even in the softest of water. Yet high levels of scale formation within a cooling tower can have a significant impact on operational effectiveness. Without effective treatment, it is estimated that the average cooling tower would have to discard 15 gallons of water for every 5 gallons that evaporate, just to maintain suitable concentration levels. If concentration is too high, solid deposits of limescale reduce the flow of water and severely inhibit the efficiency of the heat exchange. Furthermore, these deposits create an environment ripe for corrosion and the build up of potentially harmful contaminants which can have immediate and severe results. Introducing water softeners and limescale inhibitors within a full water treatment program can manage scale formation, while managing the overall system concentration can avoid further deposits occurring. Even when it is possible to reduce the sediment produced by contamination, corrosion and scale formation, a cooling tower can still be subject to fouling, especially if the water does not come directly from a mains source. Particles from the air and surrounding atmosphere all find their way into the system which then collects in low-velocity areas. Such deposits lead to the increased possibility of bacterial build-up and corrosion as well as a reduction in the flow of water throughout the system. 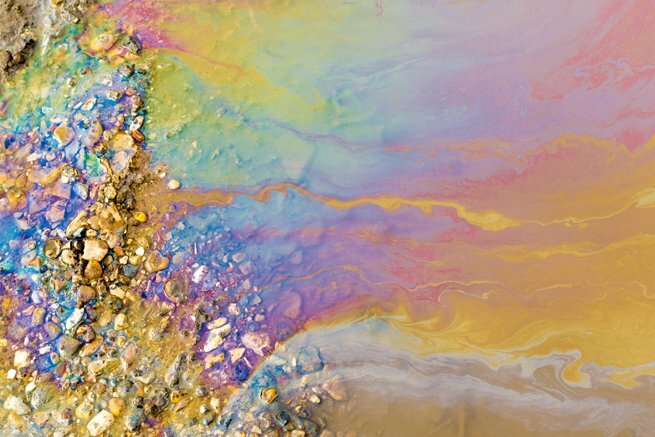 If the source of the fouling can be located it is possible to install filtration systems to via either a pre-filtration system, targeting the water entering the system, or a core filtration system within the unit itself. When combined with regular treatments of polymer dispersant and periodic intensive cleaning, these treatments can improve the overall efficiency of the system and continue the productivity of the cooling tower well into the future. Are Legionella Risk Assessments Needed On Your Premises When You Don't Store water? Legionnaires disease is a potentially fatal infectious disease that affects the respiratory system. Symptoms include a fever, chills, coughing, tiredness, vomiting and confusion. The illness can be fatal. Those aged from 45 years upwards are more at risk from death. The bacteria that causes it, Legionella, is found in any water system be it natural or man made. Therefore, under the Health & Safety at Work Act 1974 and the Control of Substances Hazardous to Health regulations, all owners of premises with water systems must carry out a Legionella risk assessment regularly. Where Is Legionnaires Found On Commercial Premises? Legionella bacteria does not spread through person to person contact. It is carried on airborne water droplets which must be inhaled. Such water droplets are produced by hot-water tanks, evaporative condensers, cooling towers or air conditioning systems. This is because this industrial equipment stores hot and cold water in its systems which provides the perfect environment for Legionella to thrive. So Why Would I Need A Risk Assessment If My Water System Doesn't Store Water? Moreover, a risk assessment takes into account your type of water system and weather or not the people who could be exposed are within the high risk age group. So it really will be worthwhile looking into whether or not your company needs a risk assessment. In many cases it may seem like it doesn't apply when in fact it is required. Waste water treatment is a vital process for businesses and companies. Without a waste treatment plan, running costs go up and up. Untreated water causes industrial equipment to scale up and corrode meaning replacements are needed. Corroded, scaled machinery needs more fuel to operate. Warm dirty water encourages bacteria to grow and fatal diseases like Legionnaires can spread. Where water contacts the manufactured product, a lack of treatment can damage those products. Not to mention the harmful effects of dirty water on the environment. It is important to find an effective and professional company to treat your commercial waste water for you as pollutants must be at a regulated level before entering community treatment plants. Which Method Of Treatment Should Be Used? At the waste water treatment plant, water is treated using chemical, physical or biological methods. Each of these has an important role to play and it is best practice to use a combination of all of them at different stages. Commonly, physical methods are used first. Next come physical and chemical processes combined. Biological treatment is the next phase. Final advanced stages often utilise physical and chemical methods. However, a programme should be tailored to your individual needs. The water is passed through a filter or screen so that any large objects are captured. Sedimentation is also used. Here the water is left to settle so that solids sink to the bottom by way of gravity. The clean water left at the top can then be taken off. 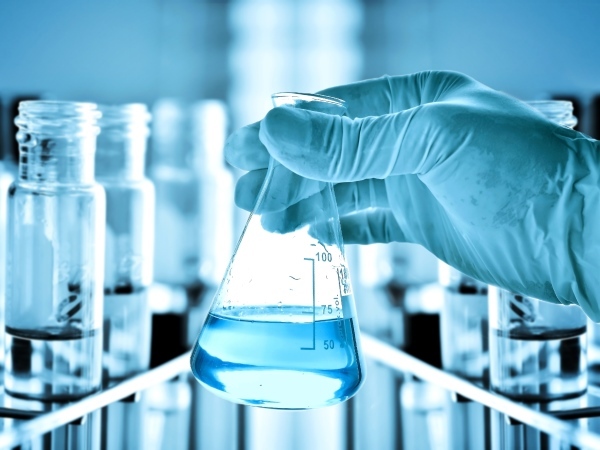 With chemical methods a great range of specialist and highly regulated chemicals are used. This aspect of waste treatment is potentially a risk to health or the environment. By choosing a waste water treatment company that is up to date and in compliance with health and safety laws you can ensure that there is no danger. The chemicals act by killing bacteria and any pathogens and slowing the rate of decomposition. With biological methods bacterial and other micro-organisms are used to attack and kill harmful, unwanted micro-organisms. Cooling Towers Are At Risk From Legionnaires Disease: Is Your Water Treatment Programme In Place? 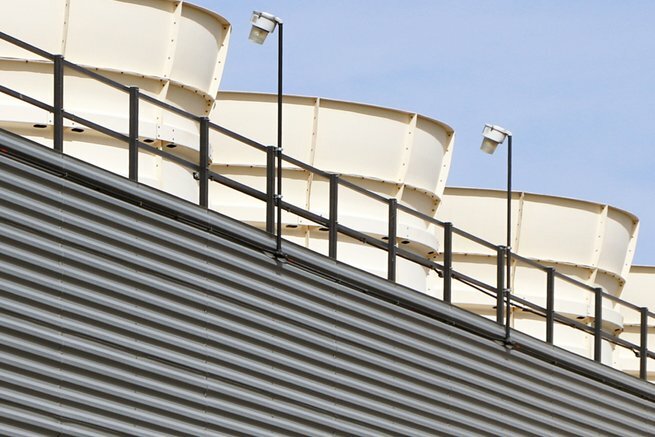 Cooling Towers are used by many companies to reduce the heat caused by industrial processes. Small units are commonly found on rooftops or attached to walls which dispel heat from air conditioning systems. Any cooling tower, big or small, can pose a risk of Legionnaires disease. Studies have shown that 40 to 60 percent of cooling towers tested harbour it. If left unchecked the disease spreads via the air. Mist droplets carrying the Legionella bacteria escape from the water system and are inhaled by the people present. A thorough and regular programme of inspection and water treatment is needed to prevent the growth and spread of Legionella bacteria within your cooling tower. What Can Water Treatment Do? Halogens such as chlorine or bromine should be added as frequently as possible to keep Legionella bacteria under control. Continuous application is recommended. The use of electronic water treatment devices may also be applied. Material coatings are another approach or bio-static components. Drift eliminators that are in good working order are crucial. It is important to ensure that all components are clean and clear. Be sure to check all seals to prevent water from escaping and bypassing the eliminators. In the cold water basin sludge and debris can build up and become a perfect breeding ground for bacteria. It is important to check for this regularly. Look at the condition of the sump screen. It should be free of trash. Look for any signs of corrosion in all the components of the basin. Again, check all seals. If any work is to be done inside your cooling tower turn off the fans first. This prevents contamination and spread. It is also a good idea for any workers to wear a face respirator mask with High Efficiency Particulate Air filters (HEPA) whilst inside the cooling tower. There is a risk of exposure to Legionella in any workplace where a man-made water system is present. As someone who is in control of business premises, employee or landlord, it is your responsibility to take the precautions necessary to control this risk. Systematic and rigorous monitoring is part of this. Legionella monitoring should be carried out by accreditted qualified service provider. Pathogen screening should be tested by a UKAS accredited laboratory. The UK Health & Safety Executive recommends that the sampling method should be in accordance with ISO 11731:19988. A service provider will offer an extensive package that includes screening for Salmonella, Listeria, E.coli O157, Campylobacter, Clostridium, Perfringens, Pseudomonas and Norwalk virus as well as Legionella. An efficient and well planned monitoring programme will not look for Legionella bacteria every time a sample is taken. This is because complex, specialist laboratory techniques are required to identify Legionella. Instead, general bacterial species will be tested for regularly. This is a more straightforward process which can indicate whether or not your microbiological controls remain effective. Alongside this Legionella will be monitored for periodically. How Often Will Samples be Taken? Whilst general bacteria is being tested for regularly, Legionella should be looked for on an annual basis from hot & cold water systems, more frequent quarterly analysis for Cooling Towers and Evaporative Condenser systems. There are times when it will be necessary to sample for Legionella more frequently. For example, during outbreaks, companies may be called on to submit extra samples to help find the source. Moreover, if you are commissioning a new water based system, samples for Legionella should be taken on a monthly basis until it is certain that the new system is under control. What Will Happen if a Sample is Positive? Legionella is a bacteria widely prevalent in nature, so it is likely to be found during monitoring quite frequently. If a sample for Legionella is confirmed positive steps are taken to regain control. Firstly, the harmful biocide will be neutralised. A thorough review of the system and risk assessment will then be carried out. More frequent samples will be required as part of this. These should be taken as near to the heat source as possible. This will continue until it is established that the system is stable. Monitoring is only a small part of Legionella risk management that should run alongside systematic assessments, controls and thorough record keeping. For in depth information on your duties under the law visit the Health & Safety Executive website. 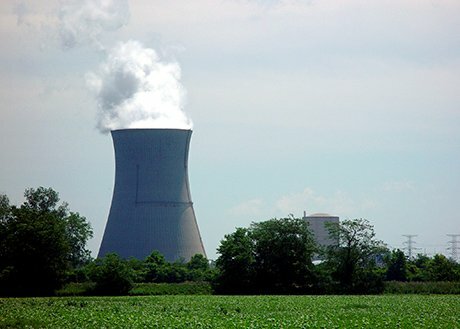 Where Are Cooling Towers Used? Many industrial processes produce excess heat that needs to be dissipated, and this is where cooling towers come in. They remove heat safely and dispel it into the atmosphere. When you think of cooling towers you may envisage the awesome buildings found in oil refineries, chemical plants and thermal power stations. Some of these are huge hyperboloid structures towering up to 200 meters tall and 100 meters in diameter. These feats of engineering are associated with nuclear power plants and, although this might be what we think of as a cooling tower, the vast majority of them are much smaller. Tiny roof top installations are very common, as are small units attached to buildings to discharge heat from air conditioning. 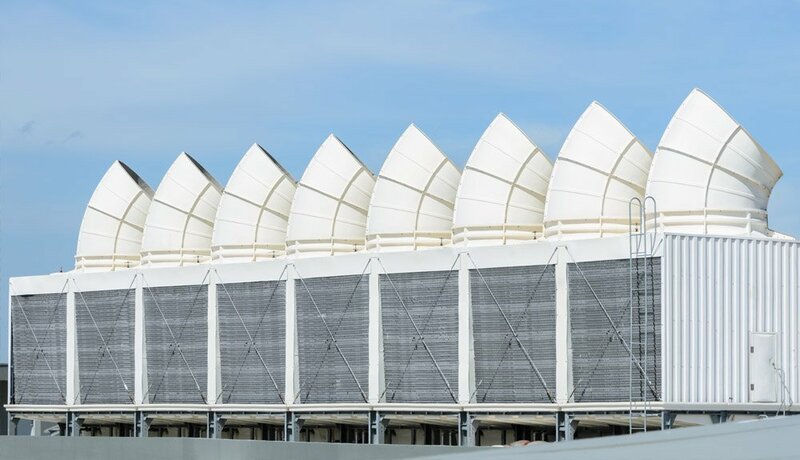 Cooling tower technology strives to limit the ammount of energy required to disipate the heat, whilst reducing the volume of water used as much as possible in order to inhibit environmental damage. As water from the cooling tower evaporates it leaves behind impurities. These build up continually, leading to corrosion and scaling. Some of this water, known as bleed, is sent back to the sewer system. Bleed should be kept to a minimum in order to save water and reduce the chance of harmful chemicals leaking into the environment. How Has Water Treatment Helped? The type of water treatment methods selected can make a significant difference here. Corrosion and scale can be kept in check by adding chemicals and biocides to the water in the cooling tower. Bleed is successfully reduced by keeping impurities low. However, the chemicals used may ultimately end up in local eco systems. Non-traditional methods of water treatment are now available. One of these types is the use of solid chemicals, concentrates are delivered in small 6kg containers and dilutions made up on sites. Thus minimising transportation costs, disposal costs and operating costs all good for the environment together with an excellent health & safety profile. Further alternative method include; pulsed power method which uses high frequency electrical pulses to break open biosolid cell membranes, Ultrasonic Control which emits frequencies which can rupture different cell walls. Specific ultrasonic vibrations can inhibit bacteria from settling and thus forming a biofilm. Production companies use steam boilers to power many industrial processes. The possibilities are endless, so you will come across steam boilers being utilised as a power source in a huge variety of businesses. Problems arise because harmful materials dissolve readily in the pure water that the system uses. Substances such as carbon dioxide, oxygen and metals are absorbed and water treatment solutions are required to remove them before they cause damage. What Can Go Wrong With Steam Boilers? This forms during evaporation. Impurities are precipitated out of the water and deposited in the boiler as crystalline and rock like structures. Scale acts as an insulating layer so heat cannot pass through the tubes to the circulating water, as small as an ammount of 1-2mm layer can increase the fuel consumption by upto 11%. Ultimatelt this causes boiler tubes to overheat and fail. This is one of the most serious problems and is irreversible. Oxygen and carbon dioxide reduce the metal parts of the boiler to iron so that it crumbles leaving holes and weak points in the structure of the boiler. This is when the steam produced is contaminated by the boiler water. Solids and impurities in the boiler water cause it to foam. This foam is then carried up in the steam. The suspended solids deposit in the condensate and steam system causing it to fail. It is essential that a good water treatment plan is put in place to remove these impurities. Without one the chemical build up begins to compromise efficiency. More fuel is needed to produce the steam. More water may be needed to compensate for leaks. All this leads to sky rocketing costs. There could also be health and safety risks as chemicals and heat escape where it shouldn't. In extreme cases boilers have been known to explode. By using a good water treatment plan you can dramatically reduce costs and extend the life of industrial equipment. Strict industrial standards are in place regarding steam boilers and water treatment plays a vital role in maintaining these. Contact us today to find out more about Steam Boiler Treatment and how we can help. Legionnaires' disease is an infection of the lung that kills the victim in up to 10-15% of cases. It can occur in any water systems in the UK and around the world. However, as long as the right preventative measures are taken, the risk of infection can be greatly reduced. Legionnaires' disease is caused by the Legionella bacteria, which poses the greatest risk in artificial water systems such as air conditioning systems, cooling towers, heating systems and even fountains and spas. If the conditions are right, the Legionella bacteria can rapidly multiply and cause an outbreak. So how should infection be prevented? When water systems are maintained properly, the risk of the Legionella bacteria infection is minimised greatly. There are a number of strict regulations governing water systems, especially larger systems in hotels and hospitals. By sticking to the regulations and checking that they are carried out effectively on a regular basis, prevention becomes a lot easier. One of the most important regulations is that water that is stored in a system is kept at the correct temperature. This should be either below 20°C or above 60°C. If water is kept between these two temperatures then the risk of infection increases. It is important to control the hygiene of the water in the system to prevent the spread of the Legionella virus. This involves making sure that the water is not stagnant and that it does not contain any impurities. To minimise the risk posed by the Legionella bacteria, it is a good idea to arrange a regular risk assessment by a specialist water treatment company. This will highlight any risk areas and allow you to make any necessary changes to avoid problems occurring. Whether you are an employer, a landlord or even just a homeowner, you have a duty to reduce the risk of a Legionnaires' disease outbreak by maintaining your water supply correctly. Legionnaires' disease can kill, but you can reduce your risk of your water system causing an outbreak through careful prevention. If you are in doubt about your obligations and you want to carry out a full risk assessment, contact us today. Water treatment companies can help to kill deadly bacteria and save lives. Large establishments should therefore ensure that they have their water systems inspected and treated for Legionella and other bacteria to avoid potential serious issues from arising. However, how do you choose a treatment company? There are a few factors to consider, and here are a few of the most important. The professionals who work at the water treatment company should all be highly experienced. If you are unsure, find out whether they receive regular training and testing to ensure that they are constantly kept up to speed with the latest developments. Any water treatment company that you choose, should have a range of different programmes in place to meet your needs. Water safety and water hygiene services could consist of removing scale formation and corrosion from your cooling system, removing bacterial activity from closed water systems, steam boiler treatment, waste water treatment and a range of other treatments. Although the price of the treatment is not the most important factor to consider when choosing a water treatment company, it is still better to find treatments that are not overpriced so that you can take full advantage of all of the crucial treatments at an affordable price. Effective water treatment is very important, and could mean the difference between life and death. Make sure that when you are choosing a water treatment company you always base your decision on the above at the very minimum. You will then know that you have an excellent team of top professionals working with you to ensure that your water systems are safe. To find out more about how Advanced Water Technologies can help you with water treatment, click here to contact us. We look forward to hearing from you. Bathing waters are any body of water that attracts a large number of bathers. It might be along a stretch of beach, or part of an inland picnic area. It could even be a section of water that is part of a tourist related business, like a caravan park or amusement ride area. In 2012 the government issued a revised Bathing Water Directive with tighter standards and new classifications. The water treatment industry faces the task of meeting the new standards by 2015. This exciting but challenging objective requires extensive resources. For example, in Scotland, which has 83 bathing waters to date, over £100 million has been invested between 2002 and 2010. There are several steps Water Treatment companies must take towards improving bathing water. This includes bacteria, which may be used to break down organic matter such as fats, human metabolic waste or food in a controlled environment within the water treatment site. If this material is discharged into waters directly, then naturally occurring bacteria will set about breaking it down. Outside of controlled conditions, this process soon uses up all the oxygen in the water leaving dead zones where no wildlife can survive and the eco systems collapse. However, toxicity becomes high which will effect swimmers. The water can also carry pathogens like Noroviruses. Tertiary UV treatment is another provision applied. This is when filtered water is passed under UV light to remove pathogens, chemicals or nutrients from the bathing water. The UV rays are set to peak at 254 nanometers. This level causes cellular damage to kill micro-organisms. Water treatment may also take steps to reduce discharges from combined sewage overflows. The new Bathing Water Directive assesses water quality against just two parameters over a longer time frame to reduce the cost of monitoring. There are four new classifications in place, Excellent, Good, Sufficient and Poor. The Excellent and Sufficient classes are both twice as stringent compared to the old guidelines. The Bathing Water Directive (76/160/EEC) is a welcome commission. We can all rest assured that it is striving to protect the public from illness and pollution when they swim in public waters. Nutrient Pollution: Where Are We Now? Nutrients like phosphate and nitrate are essential to the plants and animals in our rivers. However, when these elements rise above a healthy level they can have a devastating effect on wildlife. Excessive phosphate requires a massive amount of oxygen to break it down. Oxygen levels in the water become so low that only tough organisms like Diatoms and macrophytes can survive. As a result, overwhelming blooms of algae can occur causing an unsightly green sludge on the water. This endangers more animals, causes unpleasant sights and smells and drives down property value. Water Treatment has a part to play in combating nutrient pollution in UK's rivers and lakes. However, the problem starts in our businesses and homes. Phosphate is added to laundry detergent and cleaning products to help it remove dirt. The wastewater containing these phosphate rich products then needs to be dealt with through water treatment and when it is not, too many nutrients end up back in the water ways. While some water treatment processes have also added to the problem by using phosphates as part of chemical corrosion and scale control. Over the last 20 years the industry has been working closely with the Environment Agency, which has seen water quality has improved significantly. Water treatment now uses phosphate removal systems which utilise specialist bacteria to absorb phosphates, or chemical precipitation using salts of iron. These processes produce a phosphate rich sludge that can be recycled as fertiliser. What More Is Being Done? In terms of overall ecological quality, 26 per cent of rivers are good or better, 60 per cent are moderate, 12 per cent are poor and 2 per cent are bad across England and Wales. This is better than it was, but not perfect. As Wastewater Treatment has done much to reduce its nutrient output, the Environment Agency are now approaching other angles. The current focus is on farming, discharges from septic tanks and feedlots, as well as emissions from combustion. Awareness is key and can empower us to protect the environment. Zeolite is a naturally occurring alternative to phosphate in cleaning products. This substance is environmentally friendly and does not contribute to nutrient pollution. So look out for this when buying detergent. We, in the industry, are proud of what we have achieved. By working together to engineer effective solutions we can continue to improve our waterways. Who Needs a Risk Assessment? This is an issue that can affect a surprisingly wide range of companies. Almost any workplace or commercial area could be at risk from Legionella contamination if there are water systems present. If your premises use cooling towers, hot and cold water systems, spa pools, humidifiers, air washers, emergency showers, eye wash sprays, indoor ornamental fountains or aqueous tunnel washers then you are required by law to carry out a comprehensive Legionella risk assessment. This legislation is outlined in The Control of Substances Hazardous to Health Regulations act of 2002 (COSHH) and the Health and Safety at Work Act of 1974 (HSWA). Who Can Carry Out the Risk Assessment for Legionella? The person or team appointed with this task could be the manager, workers, or a specialist company from outside the business. The main point is that the chosen assessor has the necessary skills, knowledge and experience. So What are the Risk Factors? If risk factors are found then you will need to put measures in place to eliminate them. This may mean changing your water system or using a method to control bacteria growth within it. The water temperature is between 20 and 45 degrees celcius. There is rust, sludge, scale and organic matters for the bacteria to feed off. Water droplets are produced, as in the case of showers or cooling towers, that can be spread over a wide area. What Should the Risk Assessment Look Like? A good risk assessment should include a description of your system and any sources of risk. It must then state the controls in place. There must also be a clear outline of your monitoring, inspection and maintenance procedures along with a record of the dates and results of these. Finally, a review date is essential to accommodate inevitable changes. Remember, Legionella causes Legionnaires disease which is at best unpleasant and at worst fatal. This is not an issue that can be ignored by responsible business owners. Contact us today to discuss legionella risk assessments further. The Legionella bacteria is found in natural and manmade water systems, but often only in very small numbers. However, if the bacteria multiplies rapidly, it can cause an infection called Legionnaires' disease. It is therefore essential that establishments with water systems at risk from the Legionella bacteria do everything possible to prevent infections from occurring. Legionnaires' disease is a lung infection that is sometimes fatal. People may become infected when they come into contact with the Legionella bacteria, which can sometimes appear in water systems in buildings. Symptoms of Legionnaires' disease include a high fever, which can sometimes be over 38°C, headaches, muscle pain, a nasty cough, confusion and even chest pains and diarrhoea. The treatment for Legionnaires' disease involves a course of antibiotics, often Erythromycin or Clarithromycin. However, in 10-15% of cases where healthy people have become infected, it can lead to death. The number is higher in more vulnerable people including the elderly and people with health conditions such as diabetes. The Legionella bacteria is commonly found in natural water sources like lakes, but it can also find its way into artificial water systems if the conditions are right for the bacteria to multiply. It is typically a more serious problem in larger buildings like hotels and hospitals, which have larger water systems. Regulations are in place to reduce the risk of the spread of the Legionella bacteria, which include keeping the water to below 20°C and above 60°C. Even so, outbreaks still occur and many people die of the infection each year in the UK alone. Due to the serious risk posed by the Legionella bacteria, it is essential that large establishments ensure that they receive efficient water prevention advice from a specialist. Prevention is always the best plan of action, so establishments should arrange a Legionella risk assessment to find out how much of a risk Legionella poses. It is never worth taking a risk with something as serious as the Legionella bacteria and Legionnaires' disease. If you want to make sure that your water system is safe, arrange a Legionella risk assessment today.